Supported by local schools, social workers, families and carers, the charity takes more than 400 children to its holiday home for a fun-filled, week-long break each year where they play, make friends and enjoy respite from the difficulties they face at home. 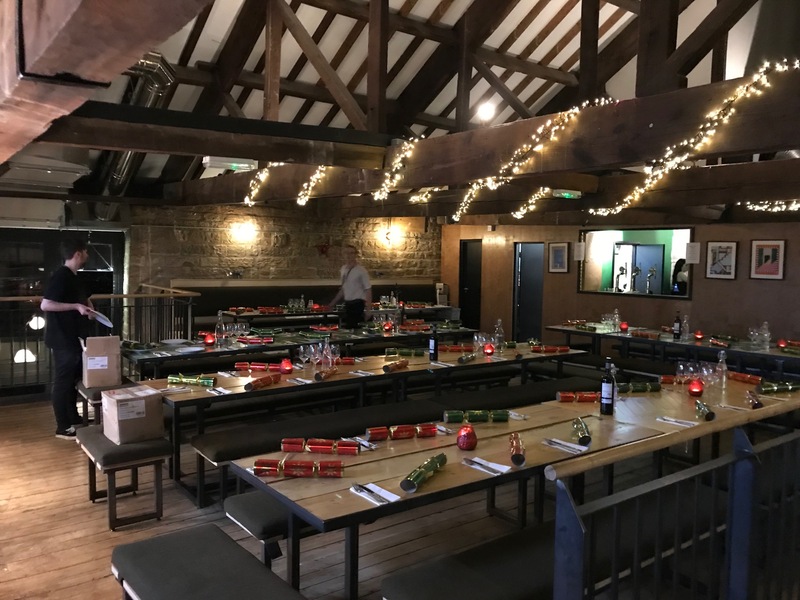 After swapping our sweatshirts and casual tops for Christmas jumpers and secret Santa, all organised by Sherelle Senior, it was time for our seasonal party. Thanks to Nick Dodsworth and Martin Taylor-Hemingway’s great planning, our dinner venue was kept under wraps until the very last minute. When meeting for Christmas cocktails in the popular Doubletree by Hilton sky bar lounge (which we did know about), everyone was still guessing until the last minute – with anticipation and excitement understandably high! Nick and Martin then asked us to leave and follow them – which we duly did – and were rewarded with a wonderful atmosphere in the waterfront setting of the Water Lane Boathouse at Canal Wharf. We feasted on delicious platters in the convivial atmosphere washed down with the odd glass of wine or beer – or two! The deserts were also truly scrumptious – chocolate brownies, Panettone and ice cream! This entry was posted in Bayford Foundation, Charity, Community, Diversity, Education, Events, News, People Champion, Recruitment, Rewarding Success, Supporters, Teambuilding, Telesales, The Right Fuelcard Company, Work/Life Balance and tagged Bayford Foundation, Charity, Christmas jumpers, Christmas party, Doubletree by Hilton sky bar lounge, dress down day, Fundraise, leeds childrens' charity, Martin Taylor-Hemingway, motivating staff, Nick Dodsworth, Secret Santa, Sherelle Senior, staff, teambuilding, The Right Fuelcard Company, Water Lane Boathouse. Bookmark the permalink.